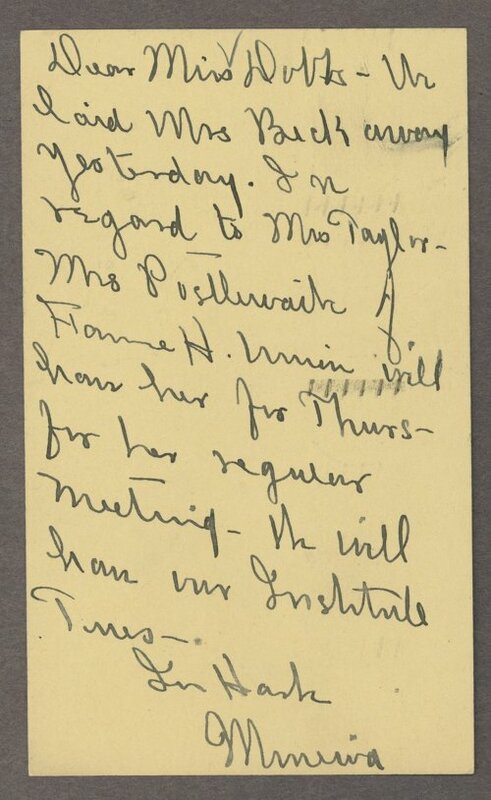 This correspondence and miscellaneous papers concern the Carry A. Nation Home, a home for elderly women in Kansas City, Kansas, established by the Kansas Woman's Christian Temperance Union. A number of letter are to and from Mary E. Dobbs, Wichita, Kansas, who was the corresponding secretary for the WCTU. Also included are inquiries about working at the home, rulings and minutes of board meetings, copies of resident contracts, house rules, a "brief" history, and a receipt book. There is a printed copy of the 1923 constitution and by-laws for the Ingleside Home for Aged Women in Topeka, Kansas. There are several other groups of official Kansas WCTU records on Kansas Memory. They can be found by selecting Collections - Manuscript - KWCTU/Mary Evelyn Dobbs.